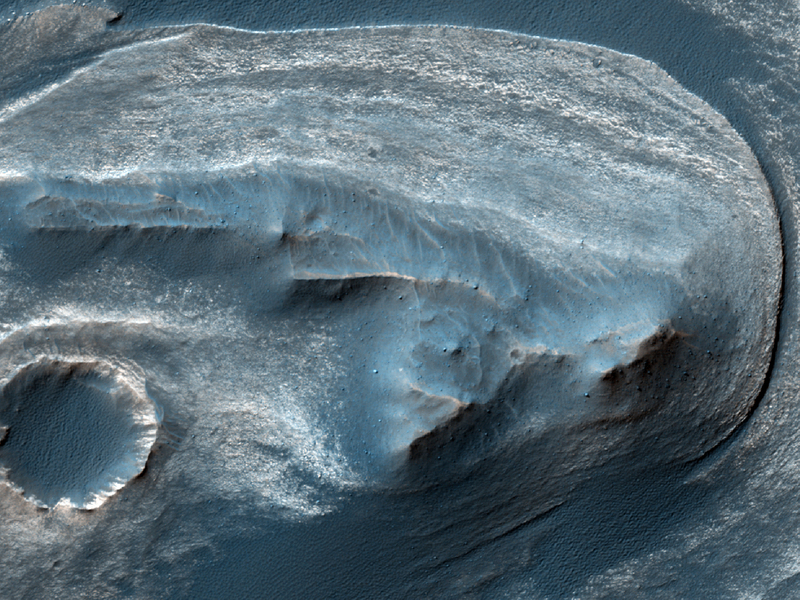 Today's Image of Mars comes from HiRISE shows a dune that lies close to an impact crater. This dune is special because it preserves the original bedform shapes of the sand dune, but lies over top of a previously eroded surface of sedimentary rock. Scientists are still attempting to find a dune that has been directly impacted by an asteroid, in hopes that it will help them better understand dunes and how they are formed.